The Alien franchise is pretty revered both amongst my circle and many of the people I know and respect. And yet, I have very little experience with the series. It’s not that I had anything against it, I just didn’t get around to it. I remember watching Aliens on VHS in high school and thought I’d seen Alien, but while watching the Blu-ray version and writing this post, I now remember that I meant to get the first film, wound up with the second and just went with it. I’m sure I’d seen bits and pieces of Alien here and there, but much of it seemed new to me. And yet, when I saw the Alien Anthology Bluray box set go on sale for something like $22 last year, I asked my wife to pick it up for me for the holidays. It seemed like the kind of series I’d be into if I just sat down and watched it. Even as a novice, I was familiar with the basic story of Ridley Scott’s Alien which finds the crew of a tow ship investigating a potentially alien transmission on a planetoid that just so happens to contain huge ruins and a particularly nasty brand of alien that makes its way onto their ship. While onboard, the menace makes short work of the crew — which consists of characters played by Sigourney Weaver, Tom Skerritt,Veronica Cartwright, Harry Dean Stanton, John Hurt, Ian Holm and Yaphet Kotto — before they go on the offensive and try to save their lives and at least part of the ship. It’s a taught, scary film that gives you enough time to get to know the characters and then doesn’t let up as it races towards the final. I don’t think there’s any arguing that Alien is a classic film, expertly put together and acted. While reading about the movie, I discovered that one of my all-time favorite filmmakers, Walter Hill, had a hand in it. He not only produced, but also rewrote Dan O’Bannon’s script. We’ll probably never know exactly how much which people got through to the final film, but it shows Hill’s versatility and radness. But there is one problem with Alien and it has nothing to do with the movie itself. By being such a successful film with a fairly simple plot (alien hunts down people in strange place) it’s been talked about, homaged, parodied and flat-out copied for decades. Even if you haven’t seen the chestburster scene, but are otherwise well versed in horror or film history, you’ve probably seen the scene on a countdown show of some kind. Heck, you probably also know going in that the cast’s reaction was real because they didn’t know exactly what was going to happen. A few years back I watched the Shout Factory double feature of Roger Corman’s Cult Classics: The Terror Within / Dead Space . I don’t remember much about either movie aside from the fact that, even without being familiar with the source material, one or both of them were rip-offs of Alien. Sometimes, that can work out well, like in the case of Jason X, but usually it just feels old, tired and unoriginal. So, what’s the solution to this problem? See Alien as soon as you can. It’s just one of those movies that’s so iconic and so influential that it’s best to get it in your system as early as possible so you’re comparing all of the copycats to the original instead of an idea of the original you’ve formed from being part of the pop culture landscape. I’m to far gone in that regard, but I figure a few more solid viewings in glorious Blu-ray will help to retroactively fix the problem. When it comes to limited-run posters, Mondo’s one of the biggest names in the game. The reason why? They get some incredibly talented artists to create images based on some of the greatest movies of all time. Tomorrow, they’ve got another trio of offerings that will surely fly off the virtual shelves. As detailed over on their blog, quick clickers with disposable income will have the chance to purchase a Predator poster by Ash Thorp, Ridley Scott’s Prometheus by JC Richard and Jock’s interpretation of John Carpenter’s The Thing. As per usual, the best way to keep up on when the posters go on sale, follow @MondoNews on Twitter. TheWrap reports that Vin Diesel has signed on to star in the sci-fi, alien-fighting thriller Soldiers Of The Sun at Universal. 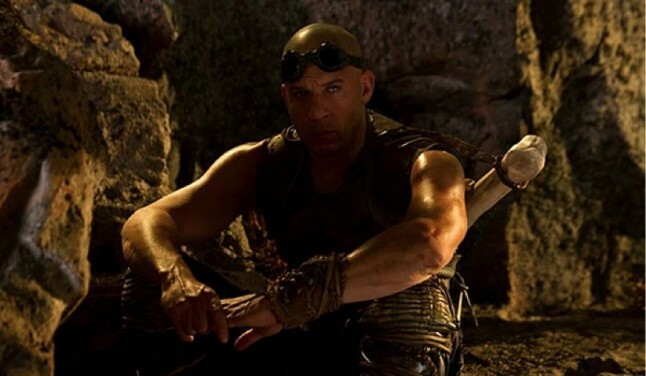 Written by Arash Amel (Erased, I Am Legend 2), the flick finds Diesel and a group of soldiers in a post-apocalyptic world trying to find a city of gold. World War Z writer Matthew Michael Carnahan scored Ray Liotta and Linda Emond to play the parents in his Godfather-inspired modern day mob flick Violent Talent, Deadline reports. Carnahan wrote the script and will also direct. 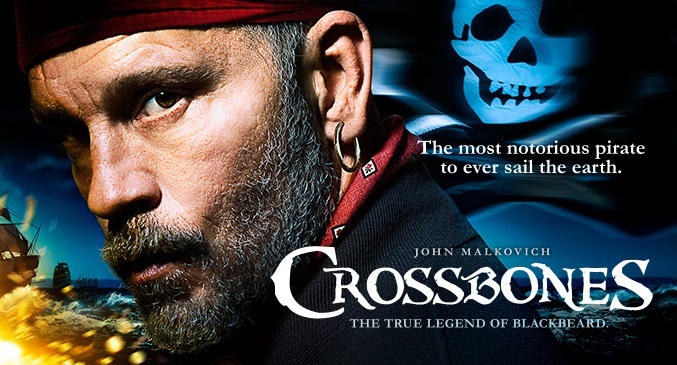 Deadline broke news that Hard Candy and 30 Days Of Night director David Slade will direct the first episode of NBC’s pirate series Crossobones. The show was created by Luther‘s Neil Cross and stars John Malkovich. The CW’s Arrow will be adding a new character based on the world of DC Comics played by Teryl Rothery (Caprica, Hellcats). SpoilerTV says she’ll portray Jean Lorring, a lawyer who defends Moira Queen for the crimes she confessed at the end of the first season. In the comics, Lorring was married to the Atom and eventually went insane. Variety says that Switched At Birth‘s Cassi Thompson is replacing Disney star Ashley Tisdale as Nic Cage’s daughter in the big budget version of Left Behind currently in the works. 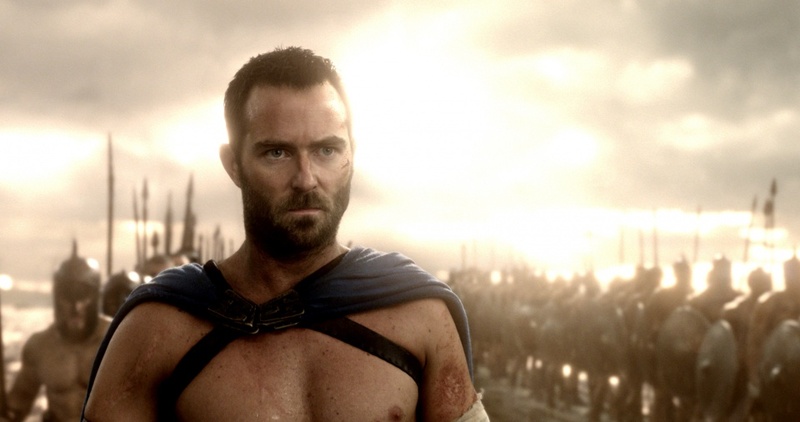 Warrior star Joel Edgerton is looking to play Ramses in Ridley Scott’s Exodus against Christian Bale’s Moses, Deadline reports. This sounds like a more serious film, but if these guys don’t throw down at some point, it’s everyone’s loss. Finally, if you’re interested in checking out the motion comic prequel to the upcoming Mad Max game, just check out the videos above and below. The game hits next year, but what the heck is the deal with Mad Max: Fury Road?